Your order confirmation email will contain a link to access the course from February 8 2019, or you can access by logging into ‘My Account‘. Do you wanna know what we wanted when we were first starting out as freelance social media marketers? Someone who had worked the industry / were super professional at what they did / had earned themselves a good reputation in their field / had made “mistakes”, & learnt from them [i.e not charging the right hourly rate [!!!] / had experienced big wins, & subsequently wanted to share their learned wins with their colleagues [i.e you!] / someone to guide you right through from landing your first client, to nailing your first client [& going on – confidently – to add to your SMM portfolio]. 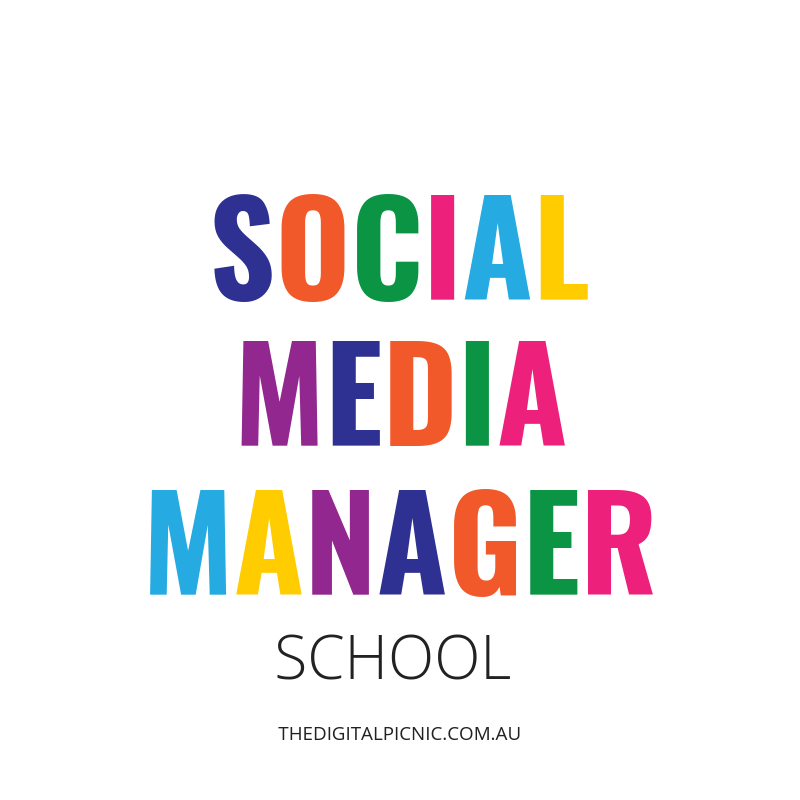 … this is where we come in, via our BRAND SPANKIN’ NEW 12 week online Social Media Manager School! Hosted by TDP’s Cherie, a passionate digital marketer who’s done the #freelancefreefall, & subsequently want to teach you everything you need to know in order to succeed as a freelance social media marketer. And you’ll learn all of this via x6 easy-to-digest and incredibly implementable modules, as well as receiving a host of printable templates to use professionally, tuning into fortnightly FB live coaching [if you can’t make them, we’ll tag you in so you can watch the replay], and finally? Fortnightly Q&A threads. Additionally, you’ll receive access to a small and private FB community where TDP’s Cherie will host regular livestreams, check in on you whilst you’re undertaking different exercises throughout our learning program, and generally just hover around like a “helicopter Mum / Mother Hen” whilst you work through the course. And lastly? But really importantly [especially to us! ], you’ll leave with a new sense of confidence, a [practical!] plan to execute all of your new learnings, and a community that’ll support you long after this learning experience is over via our private FB group where we [and our incredible community!] are there to support / mentor / encourage / lovebomb et. al. You’ll be expected to keep pace with just one module per fortnight [a really nice pace, we promise]. Your hand will be held every step of the way [we know you guys have a lot going on BTS when you choose to invest in online learning, whilst simultaneously juggling life]. During that fortnight, there will be a Q&A thread in the private FB community you’re invited to as part of your learning, and any question is welcome there. Additionally, each fortnight you’ll be invited to an FB livestream with your mentor, TDP’s Cherie where any questions will be answered in real-time, as well as a little check-in on some of the activities you’ll be undertaking as part of each module. You’ll be welcome to network with other freelancers in this group, who we expect will [hopefully] become lifelong professional buddies for you [believe us when we say this, every freelancer needs them!]. 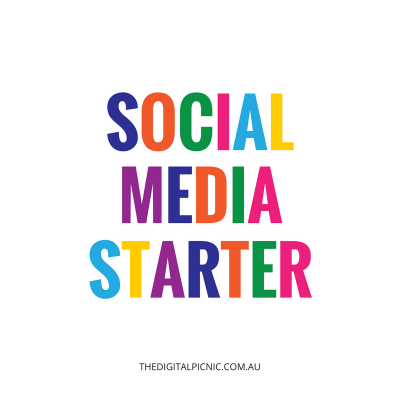 After the course has completed, you’ll be invited into The Digital Picnic’s primary FB community group, where you’ll receive lifetime access to us and our community [as well as opportunities to apply for the countless freelance job opportunities we promote there]. 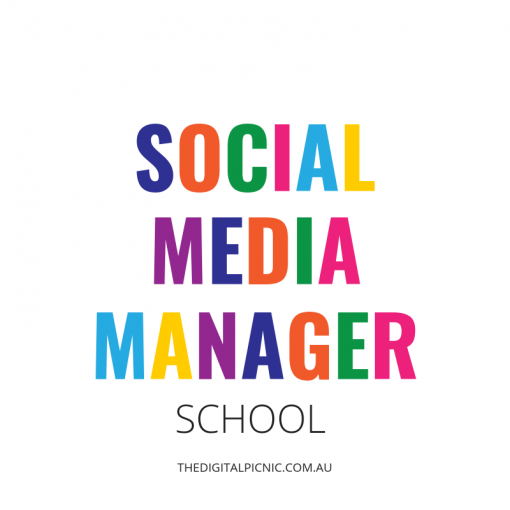 All Social Media Manager School online eLearners will be granted lifetime access to our private Facebook community, a space to interact, ask questions and share your social media wins! * N.B numbers are STRICTLY CAPPED for this program, so it is genuinely a first come, first served basis! All online learning purchases are non-refundable, however your place may be transferred to another attendee should you be unable to attend. Transfer to another intake date is subject to availability and at the discretion of The Digital Picnic. If this eCourse is sold out, please email us to register your interest in waitlisting for a cancellation or our next intake date.